Beautiful custom sycamore bar top was made to accent the bar area in a custom home. Custom bar tops also available in cherry, walnut, maple, and other fine woods. 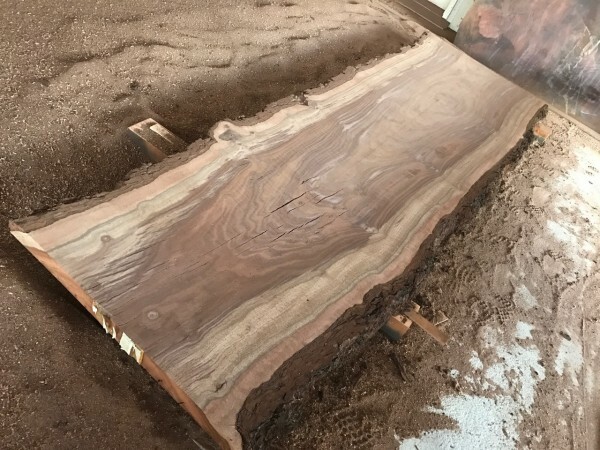 Very unique Walnut slab ready to be made into a custom bar top. Custom order yours today! Large Ambrosia Maple bar top with unique grain. Unique custom wood slab bar top. Many unique and unusual wood slabs read to be made into custom bar tops. If you’re looking for a custom built slab bar top to fit your home or office space, we can help you out! Let’s say you already have an idea in mind of a custom bar top that you would like to have. You can submit your idea to us via our Request A Quote Form or call us directly at (406) 777-3772. Just describe the type of bar top you’re looking for, the size, shape, wood type, and any examples that you might have and we can give you a custom quote. From there, it takes a few weeks to build the bar top itself by hand but once it’s complete, it will be shipped to your doorstep within a few weeks.